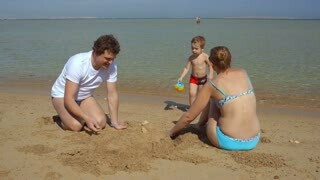 Search Results for "sand castle"
Sandcastle under sunlight. Sand castle with a flag. Pearl of architecture. F 8 Beach Sand Castle Kid Working. Fake 8mm amateur film: a cute little girl digging and building a sand castle at the beach. Detail shot. Sand castle on the beach. 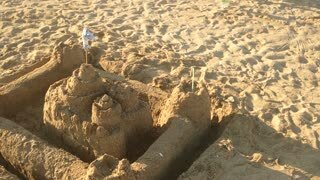 Ruined sand castle. Sea surfing on the resort coast. F 8 Beach Sand Castle Kid Build. Fake 8mm amateur film: a little girl building a sand castle at the beach. F 8 Beach Sand Castle Kid Shake. Fake 8mm amateur film: a cute little girl pouring water in a hole to build a sand castle at the beach. Shaky detail shot. Sand castle. 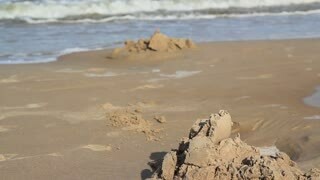 Sand tower with sea at background. UHD 4k. Girl makes sand castle. Sand tower with sea at background. UHD 4k. A slow motion close-up tilt of a young girl building a sand castle with a bucket of sand. Construction of a sand castle on the beach. The kid on the beach. The girl is building a figure of sand on the coast. Children's entertainment on the beach. Toddler building sand castles. 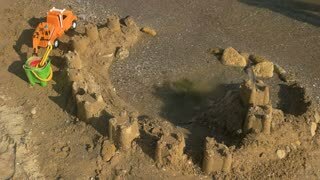 Kid breaks built castle. World's tallest sand castle on Oct. 26, 2015, on Virginia Key Beach in Miami. The castle, which was commissioned by Turkish Airlines to highlight their new nonstop service from Miami to Istanbul, rises to a height of 45 feet, 10.25 inches. Cute baby girl playing with kinetic sand at home. Sand castle game. Kids Early Childhood Education and Development. Children playing sand on the beach. 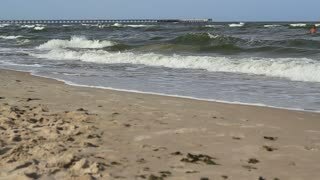 Little girl builds sand castle by himself on the beach.